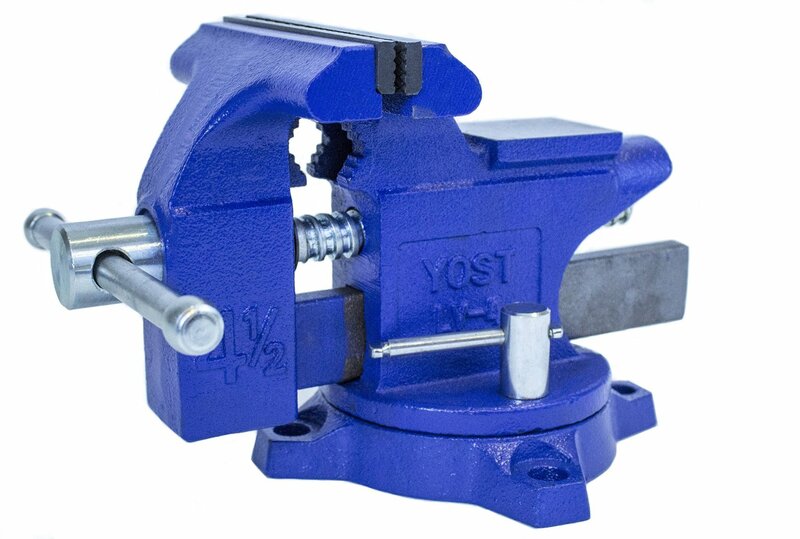 Yost LV-4 Home Vise 4-1/2"
Yost LV-4 Home Vise is great for home shop. It is made of cast iron and has steel vise jaws, threaded spindle assembly and a chrome lockdown. The vise can be rotated up to 240° on its base for work positioning. It comes with integrated pipe jaws allowing to hold small pipes and tubes ranging in diameter from 0.6-inch D to 1.85-inch D.